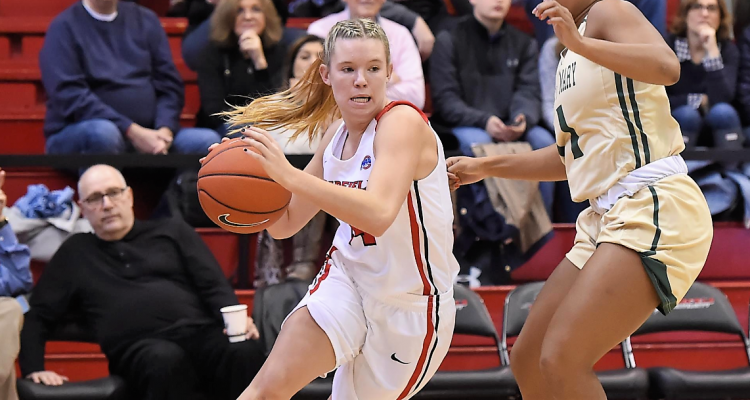 The Fairfield Stags Women’s Basketball team lost a back and forth battle to the William and Mary University Tribe 60-54 on Sunday, Dec. 2. This loss pushed the Stag’s record to a disappointing 2-5 on the season, continuing a five game losing streak despite having two wins to start out the season. This win for William and Mary brought their record to 1-1 on their Connecticut road trip, with this win and a loss to the University of Hartford. The Stags fought from behind all day, getting outscored in each quarter, but remained within striking distance of the Tribe, only allowing them to stretch their largest lead of the night to eight points. A Sam Lewis ‘19 layup off of an offensive rebound put the Stags up 54-53 late in the fourth, but unfortunately for the Stags, that was their last field goal of the game as the Tribe closed out the fourth quarter with a three pointer by leading scorer Bianca Boggs and four free throws, finishing out a 7-0 run to clinch the game. Khadidiatou Diouf ‘19 led the Stags, putting up 17 points on 50 percent shooting from the field, with seven rebounds. Diouf’s three point play was able to give the Stags a late lead, putting them up 49-48. Guard Casey Foley ‘19 joined Diouf in double digits, putting up 11 points and grabbing seven boards. 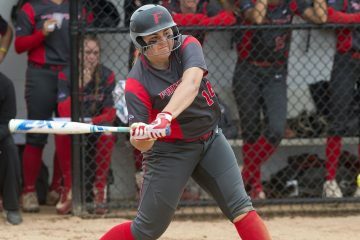 The Fairfield offense ran through guard Sam Kramer ‘20 as she scored five points and lead the team with six assists. Boggs lead the Tribe with 22 points on 67 percent shooting from the field. The Stags dominated in the paint, scoring 38 points inside the paint, but struggled from beyond the arc, shooting 25% from three. William and Mary were able to win the battle in two key areas, scoring 21 points off of turnovers and shooting 35.7 percent from three, both of which played a huge part in securing their fourth win of the season. Fairfield fan Sam Merino ‘21 highlighted the back and forth nature of this contest, stating, “It was a really close and intense game. The Stags were on a roll towards the end but fell short,” said Merino. 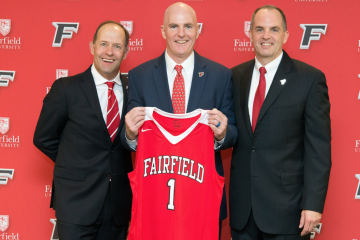 The Fairfield Stags will look to right the ship and break their five game losing streak when they welcome the Northeastern University Huskies to Alumni Hall on Wednesday, Dec. 5, then go on the road to New Hampshire, to take on the Dartmouth University Big Green on Sunday, Dec. 9.